"Take away love and our earth is a tomb." Robert Browning, poet. Love is the force that moves us! It is the reason for which we wake up every day, whether it is our love for life, our partner, children, parents, friends, career, money ... without love there is no life! For the power of love to shape us and our lives is far greater than any other force out there! Take a moment and try to recall how you felt when your mother or father cuddled you as a child and told you they loved you, or when you hear those words from your partner or your children. Think about that rush of joy and comfort that swells up inside you and the massive power it gives you; sometimes those simple gestures and words make you feel that you own the world! 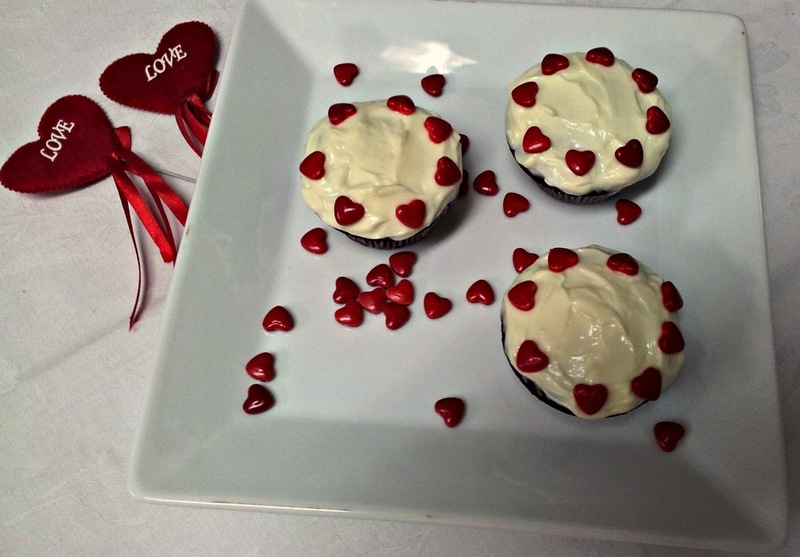 These Red Velvet Cupcakes with their small hearts decorations tell a thousand words in silence. Something prepared by the heart to express what is in the heart. Happy Valentin's day, may all your days be blessed with love and happiness. Line the cupcake pan with cupcake paper liners. This recipe yields about 33 cupcakes, and no, don't worry, they are not too much, these red velvet cupcakes are so good they will be gone in a flash! In a large bowl, sift together the flour, cocoa powder and salt. Sifting means passing the ingredients through a sieve, you can find in the market a hand-held sifter (resembles a cup) especially made for baking . I don't freak out about sifting when I forget or just don't have the time for it. From what I have read, sifting was a must decades ago when the flour was coarser; the purpose was to separate the particles, add air and dry the flour if it contained any moisture. Some claim that sifting has an impact on the tenderness of the baked cake. Personally, I rarely sift, but for this recipe I do, since the batter is somewhat thick and I don't want to risk having flour or cocoa lumps that are not 100% mixed in! In a separate bowl, beat together, on medium speed, the oil and sugar until well incorporated. Reduce the speed of the mixer and add the eggs, one at a time, beating all the time. Then add the food coloring and vanilla. Beat until well incorporated. Add half the flour mixture. Beat well until thoroughly incorporated and there are no lumps, then add half the yogurt and beat well until incorporated. Repeat with the second half of the flour mixture followed by the remaining yogurt. The batter will be somewhat thick in consistency and wine red color. 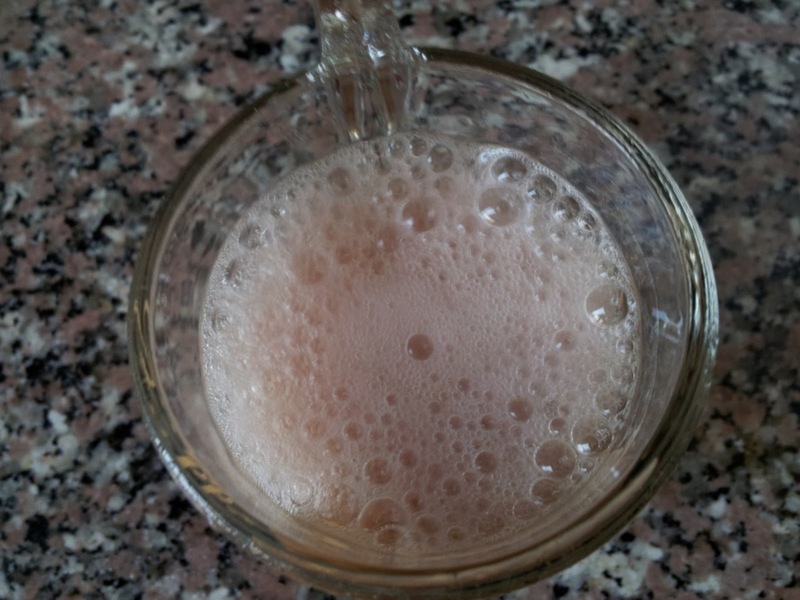 In a cup mix together the baking soda and white vinegar; it will fizz. Quickly beat into the batter. Switch the oven on at 350⁰ F to preheat it. I usually switch the oven now because it takes time to fill the cupcakes. Spoon batter into cup cake liners until 3/4 full. 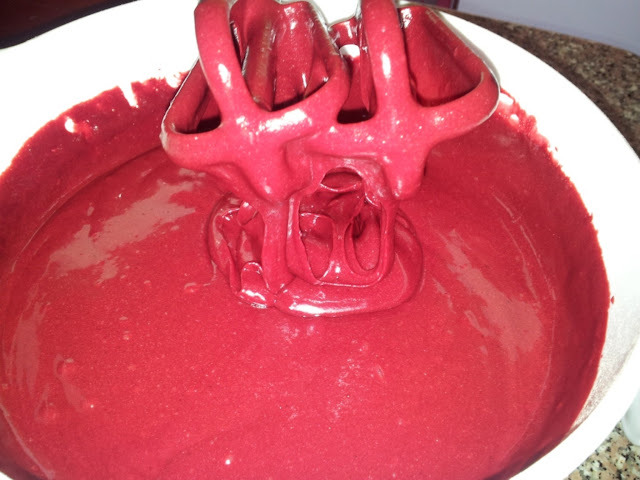 Allow the red velvet cupcakes to cool for about 10 minutes before removing them from the pan. Then allow them to cool completely before you frost them. Beat the softened butter at high speed until creamy; you soften the butter by leaving it at room temperature for about an hour. Add the cream, beat until incorporated, then add the vanilla and sugar and beat at high speed for about 2 minutes. When the cupcakes are completely cool, with a knife spread the frosting on top of each. Sprinkle (or arrange) each cupcake with heart-shaped candy. For those living in Jordan I bought mine from Candy Box. 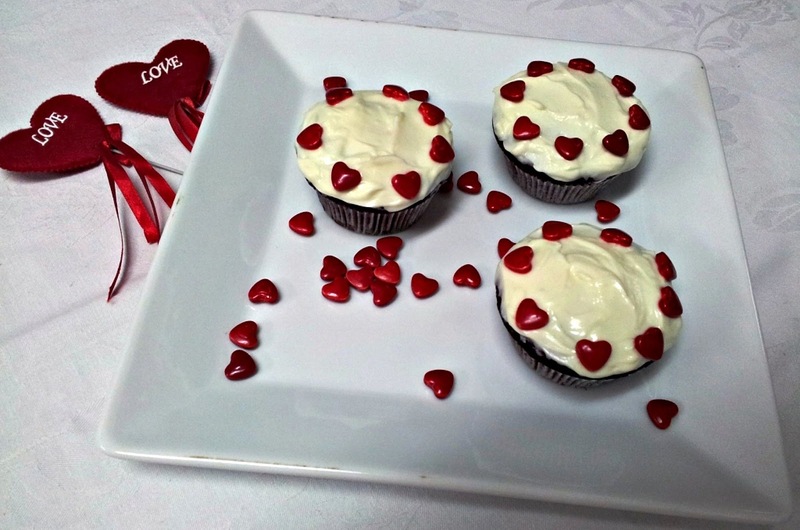 Hope you enjoyed today's easy sweet recipe: Red Velvet Cupcakes. Bon appetite and Happy Valentine. Do you have any special treats for these special occasions? Please share them with us in the comments section. I always wondered how this was done! Looks easy enough!